Cooking with kids can be a little intimidating, but once you find your groove with kids in the kitchen, it’s really awesome. Within just a few years, kids can be a huge help when it comes time for prepping meals. Plus, it’s nice to have company in the kitchen! I start cooking with my babies right away. First they’re quiet observers in a wrap, but once they can stand up they are eager to help. Most babies under about 18 months are perfectly happy to play with a wooden spoon or measuring cups on the floor in the kitchen. Around 18 months is a great time to start getting your baby more involved in the kitchen. Most kids love to stir ingredients in a bowl, and most of us are happy to hand them a spoon to do it. But what else can they do? A lot! 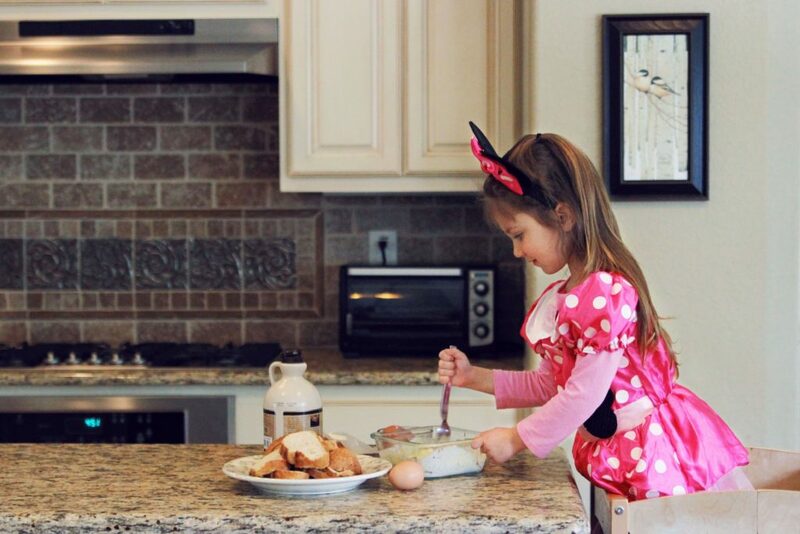 Younger children will need more supervision, and safety should always be top of mind in the kitchen. But don’t underestimate what your child can do- they might surprise you! Check out this video of my little guy peeling an egg at 22 months old. Besides being super cute you can see how great his concentration is and what a great fine motor workout this is for his hands. 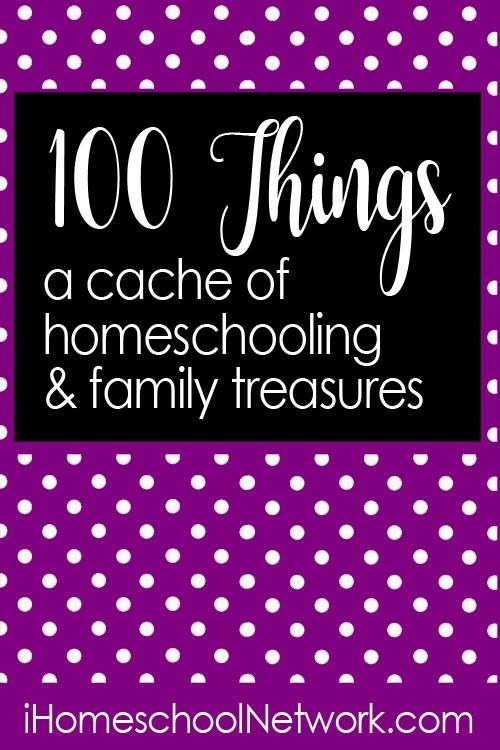 This post was written as part of the iHomeschool Networks 100 Things: A Cache of Homeschooling and Family Treasures Link-Up. Go check out these awesome lists of 100 Things covering everything from family life to high school to nature study. Yes! It is so important to get them in the kitchen ASAP! This is a great list! We follow along the same guidelines. My 7 year old is awesome in the kitchen 🙂 Thanks for sharing! This is such a great list!!!! THANK YOU!!!!!! I never thought of a few of these. This is awesome. 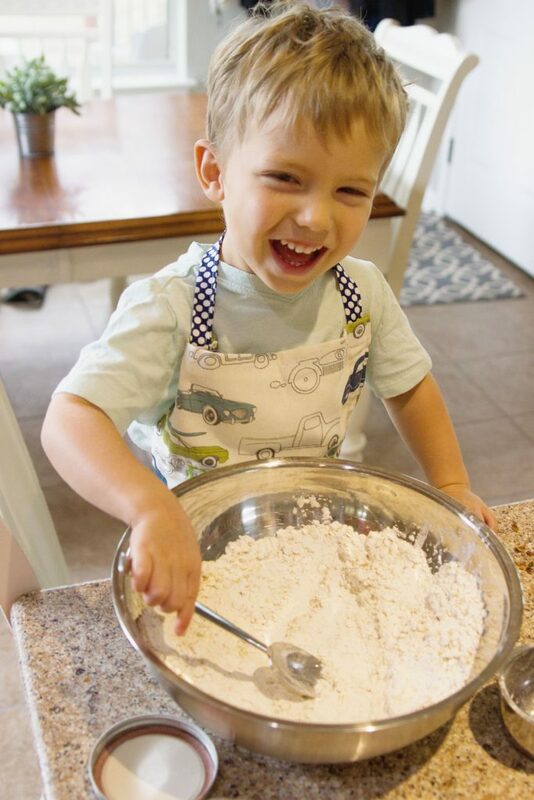 My son loves to “help” in the kitchen and you just gave me so many more ideas for him! What awesome ideas! My daughter loves being in the kitchen with me and helping out. I think it’s so important to have kids involved in meal prep! I’m passing this on to my sister. She will really find this helpful. Thank you! Great list! My littles love to help in the kitchen. Maybe they need some aprons like your little guy! Brilliant! My kids always want to help and sometimes it is hard to know what to tell them to do! I love this list. I love this. My kids are always asking to help and I usually don’t know what to ask them to help me with. This is gonna make my life so much easier. I love this list so much!!! My girls love helping me bake cookies, but we haven’t ventured into acually meals yet. Maybe soon I will. Such a great list! I’ve been wanting to include my son more in the kitchen. He’s so curious and wants to help. I love this! It’s so important to get them involved when their young and to cultivate a love for the kitchen. It’s also amazing bonding time. My littles love to mix things, but lately they have been too busy playing to notice when I’m cooking. I’ll have to call them back in to help. Such a wonderful post, I love the list. Wow this is a great list! I think it is so important for the kids to be involved in the kitchen. My husband and I were just talking about this yesterday! A lot of 20 somethings don’t even know the first thing about cooking, and it’s because their parents never let them learn! I love these ideas! My kiddos are always looking for ways to be involved!